· Wheelchair ramps, access and toilet. WHAT TO BRING: your camera (charged batteries), comfortable flat shoes, sunscreen, hat, dress for the day so a jacket if you feel the cold, sunglasses, water bottle, purchases can be made at our fully licenced Bar. 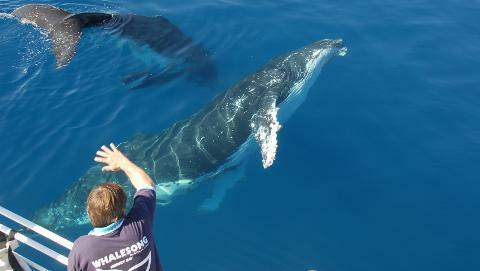 ...will get you out on the Bay & interacting with the whales before the other boats, but still back in time to be able to make use of your afternoon if you want to. 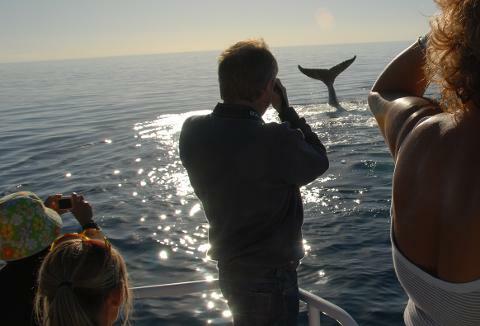 Of all the morning cruises, ours spends the longest on the whales. 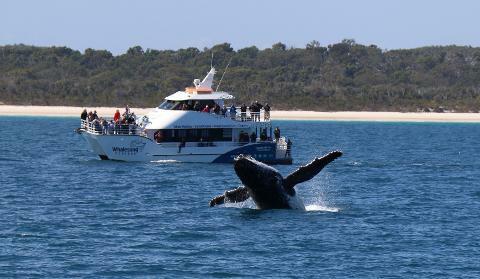 ...is great if you want to optimize your time in Hervey Bay as it enables you to fit in a whale watch cruise on the same day you arrive as we're the latest full-service boat to leave in the afternoon. 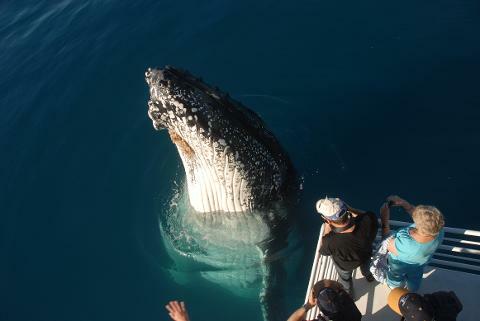 After the afternoon of whale watching, we enjoy a cruise back taking in a stunning sunset Hervey Bay is known for. Sounds good, right!? 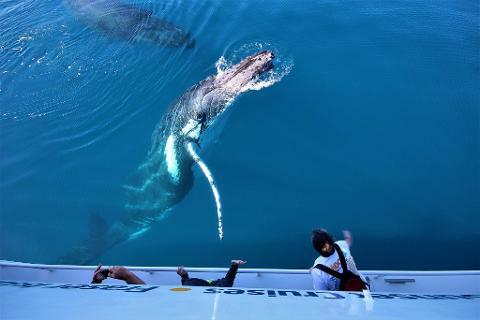 Whichever cruise you choose, you'll be pleased you chose Whalesong. With our commitment to the environment and sustainable practices, you can feel comfortable knowing your experience is not at the expense of the environment these incredible creatures live in.